People who are using phones with the Windows Phone smartphone platform, such as the Nokia Lumia series or the Samsung ATIV series, have been a bit behind when it comes to some of the most popular social networking applications. 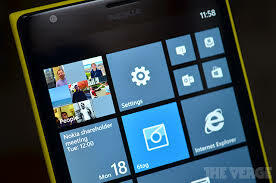 Though Windows Phone has been compatible with a number of the basic social networks like Facebook and Twitter, it has been missing major applications such as Instagram, Vine, Snapchat, and more, until recent weeks. Vine, Twitter’s popular video-sharing application, initially launched on the iOS platform in January and was eventually brought over to Android in June. It was finally released in early November for the Windows Phone platform, with all of the features included for the iOS and Android versions, as well as special exclusive features, such as the ability to pin favorite Vine accounts to the home screen. Instagram’s launch on Windows Phone came about a week after Vine was launched, but it was received quite a bit more poorly than Vine. While Vine has only been around since the beginning of the year, Instagram has had three years to be working on a version for Windows Phone. Yet the application that was released appeared to be heavily limited and did not feature many of the basic functions that were available in the iOS and Android versions. In particular, many users found themselves annoyed with the fact that Instagram cannot be used to take photos within the application, which has been one of its most primary and basic functions on the other platforms. Additionally, Instagram on Windows Phone cannot capture or share videos. Currently, Instagram on Windows Phone can only be used to share existing photos that have been taken through the phone’s basic camera application, which keeps it a long way from Instagram’s intended full functionality. At the time, the application is being referred to as a beta product, meaning it is still in the testing process. Facebook has long been embedding its functionalities on popular news websites, to the point where the Facebook Like and Share buttons are seen more than 22 billion times every day on more than 7.5 million websites. For the first time since the Like and Share buttons were developed to be embedded on these pages, Facebook has decided to update the design of the buttons, removing the iconic ‘thumbs-up’ that has long been associated with the Like button and replacing it with Facebook’s ‘f’ logo. The new design has reportedly come about in order to be optimized for high-resolution screens. Additionally, the Share button is replacing Facebook’s Send button, which was tested and ultimately deemed too confusing. The old buttons were blue on white, while the new ones are white on blue, allowing for a crisper look that can be better seen on the high-resolution screens that Facebook is apparently aiming for. In addition to changing the design of the Like and Share buttons, it also appears that Facebook is testing the usage of star ratings for Pages. According to some screenshots and videos of live testing, it appears that Facebook is intending to employ a five-star rating system that users can use to rate certain Pages, taking things a bit beyond simply being able to Like a certain Page. Though no official announcements have been made, it is likely that this is something Facebook intends to launch in the near future. 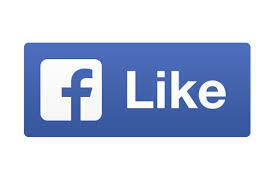 The replacement designs of the Like and Share button began their official launch yesterday. Gradually, over the coming days, the new designs for these buttons will be ubiquitous on the websites that use Facebook’s embedding options.